Home » Blog » What Makes For Pure Chaga Tea? 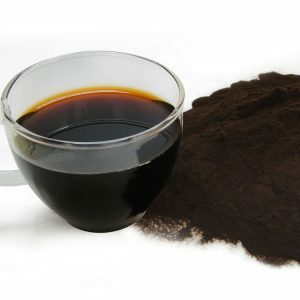 Chaga is most often ingested as a tea. The tea is made by steeping Chaga mushrooms in hot water. 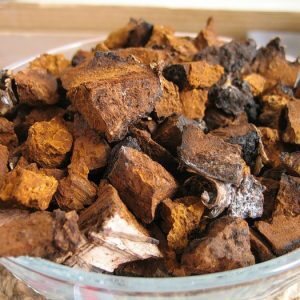 Chaga comes in a variety of forms and a pure Chaga tea can be made from many of these forms. Chaga is found as a hard conk that protrudes from birch trees. It is only found in northern boreal forests where birch trees grow. It is thought that the colder and harsher the winter, the more healthy components the conk of Chaga will contain. The conk of Chaga is carefully removed from the tree to prevent any damage to the host tree, but it is still not ready for use. The hard Chaga must be broken apart into chunks. These chunks are then dried to prevent mold growth or any other foreign substances. At this point, the chunks can be used to make tea. The chunks are simmered for up to twelve hours at a warm, but not boiling temperature. This creates a thick Chaga tea concentrate. The concentrate can be stored in the refrigerator. Add water to the concentrate and warm for a simple Chaga tea. The concentrate can also be added to smoothies, for iced drinks, or other recipes. Some people prefer not to work with chunks, simply brewing one cup of Chaga at a time with Chaga powder. 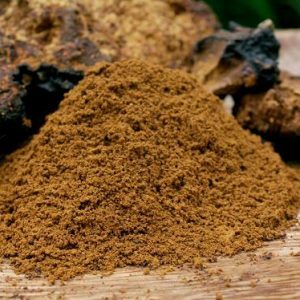 To create Chaga powder, the Chaga chunks are ground down into a powder. The powder can be added to a tea ball and steeped in warm water. Either method will produce the powerful health benefits of Chaga. Chaga tea is at its purest when the Chaga used to make it is harvested far from populous places. Chaga mushrooms concentrate components from birch trees, such as betulinic acid, melanin, and antioxidants. Unfortunately, Chaga can also concentrate harmful components from birch trees. Birch trees that grow near populous cities often take up toxins from both the air and the water. These harmful toxins are then concentrated into the Chaga conk. To avoid being exposed to harmful toxins, choose Chaga chunks that have been harvested from remote locations. This is why Chaga harvested in Siberia is so prized. In addition to Siberia’s remote location, the winters are also very harsh, which makes the Chaga especially potent. Many people don’t care for the taste of Chaga tea without additions. Honey and almond milk are popular additions to Chaga tea to add flavor and a creamy texture. There is no evidence that adding ingredients to Chaga makes its healthy components any less available. 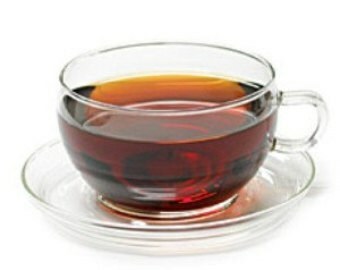 Chaga tea will be as effective with or without sweetener and cream. The nut milks complement the earthy taste of the tea, while honey or stevia takes off the bitter edge. Pure Chaga tea can be a healthy part of your daily routine. Make sure you know where your Chaga is coming from and how it is harvested so that you know it is both healthy for your body and sustainable for the birch forests the it grows.